Section 6 of the French Way: Section 6 of the French Way, from León to Ponferrada, starts in the beautiful and lively city of León and ends in the Galician city of Ponferrada. 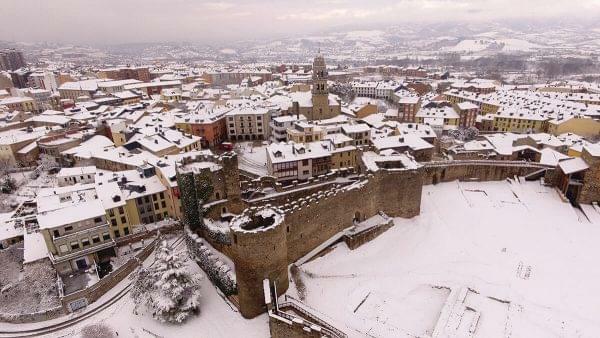 Ponferrada was built by the Templars in the 12th century. Throughout this section we will have the opportunity to visit the hilltop town of Astorga, which is well-known for its sweets and chocolates, along with the Astorga Cathedral and the Pilgrimage Museum. Once we leave Astorga we will begin the climb to the mountains of León, along which we will cross through many rustic towns and small villages. We will get the chance to place a keepsake on the Iron Cross, after which we will continue on our pilgrimage through the mountainous region of El Bierzo. 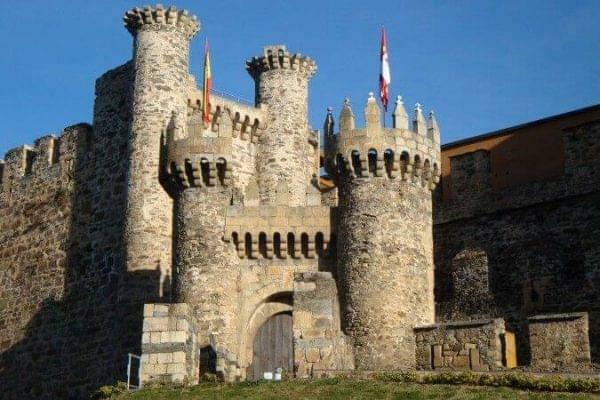 Later on we will reach Ponferrada and pay a visit to its impressive castle built by the Templars. 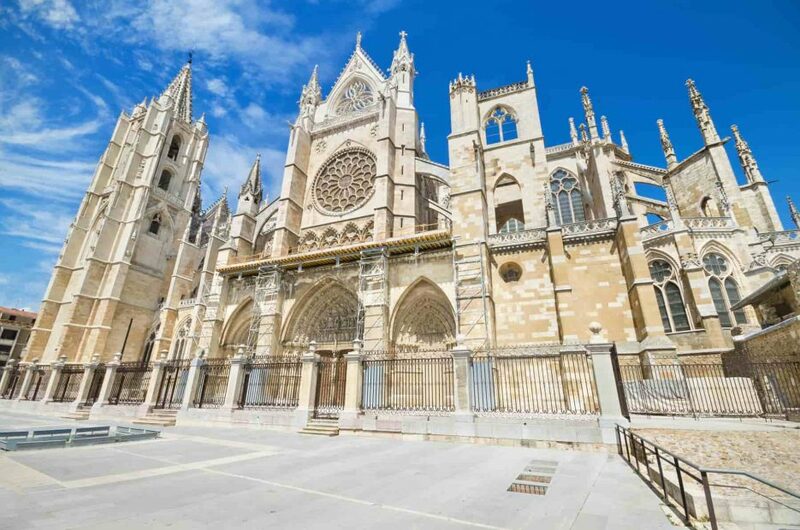 Have an unforgettable time on the Camino de Santiago from León! In León we will have the opportunity to visit and walk through its historical center. León was the capital of the kingdom of Castile in the Middle Ages and is therefore an important historical landmark in modern day Spain. León has been a point of passage for pilgrims along the Camino de Santiago for centuries. 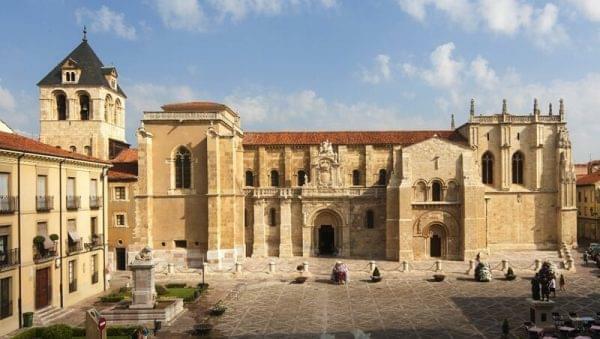 We also recommend visiting the Pulchra Leonina, also known as the “Sistine Chapel” of Spanish architecture. We can also admire Gaudi’s architecture by visiting the Casa de los Botines, built in a neo-Gothic style, as well as the famous Hospital of San Marcos, which is currently a hotel. The flatness of this route makes it quite simple. We will walk among vast farmlands of grains, corn, potatoes and beautiful apple orchards. Today we will go on a beautiful hike along trails and dirt paths to one of the most beautiful villages of the entire French Way,Hospital de Órbigo. In Hospital de Órbigo we can visit the famous photogenic “Puente de Órbigo” bridge. Here we can admire the town’s beautiful landscapes with the mountains of León in the background. 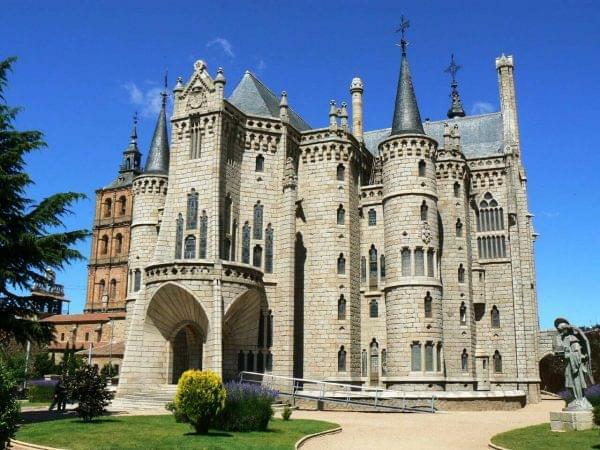 We will reach the beautiful hilltop town of Astorga where we can pay a visit to the Astorga Cathedral, the Episcopal Palace designed by Gaudi and the city walls. In Astorga we can also try some of their exquisite chocolates. The route from Mazarife to Astorga is divided into 2 stages of 17 km and 14 km, meaning we can walk at a more relaxed pace. We will spend the night in the beautiful town of Hospital de Órbigo. Today’s section will take place along the beautiful mountains of León and El Bierzo. Our walk will be surrounded by lushvegetation such as oaks, heather and broom trees. We can choose to divide the route from Rabanal del Camino to Ponferrada in 2 stages of 16 km each, in order to walk at a more relaxed pace. 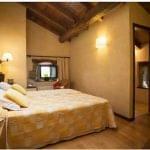 We will spend the night in a hotel in a charming village located on the Acebo Mountain. 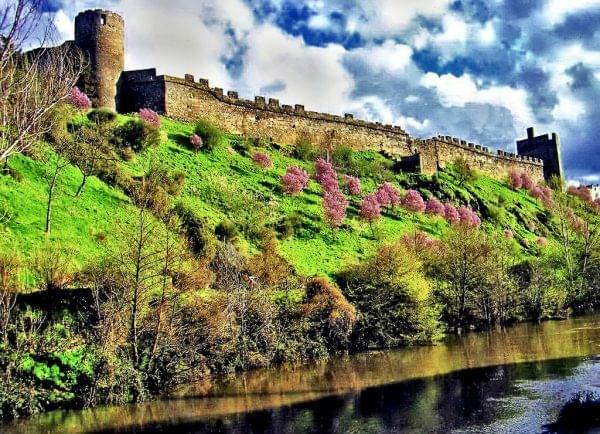 Once we reach the city of Ponferrada, we will have the opportunity to visit its beautiful old town and the Castle of the Templars. We must also try some of the local cuisine that comes from the surrounding mountains, such as the ‘botillo’(meat-stuffed pork intestine) and some of the best meats in Spain. 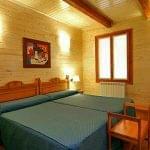 Additional single room: €120 per person. 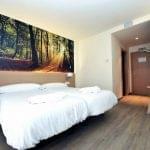 Extra night in Ponferrada: €55 per person. Transfer from Ponferrada to Leon: €140. 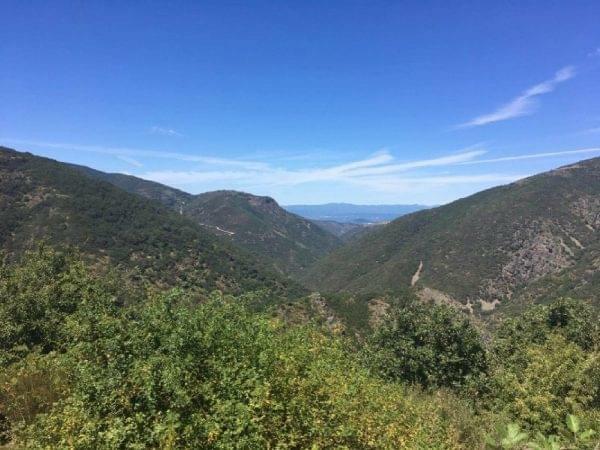 We want to talk about the Camino Frances from León to Ponferrada, an eminently Leonese route that runs through the region of Bierzo, one of the most beautiful in our country. We will talk about the reasons that there are to complete it as well as other important aspects, as the best time to do it or all the necessary information related to it. We want to remind you here that with Santiago Ways it is possible to make your pilgrimage in the best possible conditions guaranteed. Why do the Camino de Santiago Frances from León? 1. 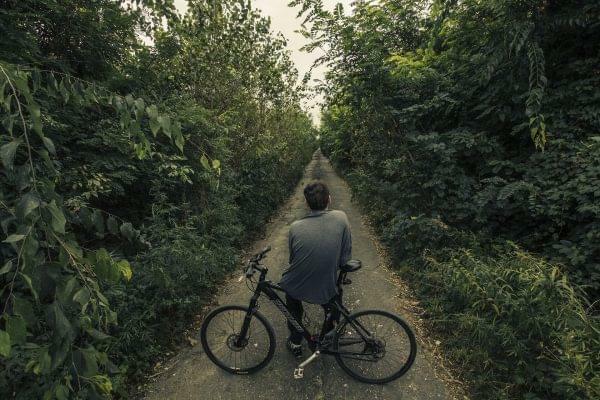 Natural landscapes: one of the most powerful incentives to make the Camino Frances de Santiago from León is, without a doubt, the quality of its landscapes. Not only we do say it for the region of El Bierzo, one of the most beautiful in our country, but also for the majestic mountains of León, which we will tour during our pilgrimage and offer us beautiful landscapes that make us fall in love with it. 2.- Infrastructure: in Santiago Ways, We always emphasize that the Camino Frances de Santiago is well cared for and developed in terms of infrastructure. This is the result of being the Pilgrims' most travelled route. It has excellent communications, roads, supply points and signage. For this reason, it is also the preferred route of those who complete the adventure of the Camino de Santiago for the first time. 3.- Heritage: Another of the reasons to make this route of the Camino de Santiago from León to Ponferrada is its great patrimony. It is divided between its beautiful villages and in the cities by which we pass, the first of them, León. Everything is very well kept and most of its remains go back to the Middle Ages and some even to Roman times. You can't miss the connection this route makes to Europe's most secluded past. 4.-Gastronomy: This point becomes important when we are on the route. The walks and the different stages make it more and more important to find quality establishments and quality gastronomy. We can say that another of the most noteworthy aspects of the region of El Bierzo and the places we are going to spend is precisely the quality of its cuisine. With unbeatable land and specialities in meats and cold cuts, you will end up enjoying everything this route has to offer you. The route of the Camino de Santiago from León to Ponferrada forms the sixth section of the Camino Frances de Santiago. It starts in the emblematic city of León: a beautiful city full of the heritage which you can enjoy from the beginning. It ends in Ponferrada, already in Galicia, a city built by the Templars in the 12th century. Among the points that we will visit is the city of Astorga, the pilgrimage through the mountains of León and a lot of wonders that we will fall in love with. It has a total length of 105 kilometres divided into 5 stages. With Santiago Ways, it is possible to book it all year round with breakfast or breakfast and dinner included in the best hotels and with all the attention that you deserve. Despite all the appeal of the route of the Camino Frances de Santiago from León, we want to talk about the two most popular and reserved routes within it. Each of them has its own reasons and we want you to discover them so that you can make your own decision. With a route of 66 kilometres spread over 5 stages and 4 nights, the section from St. Jean Pied de Port is the most popular in the south of France. That is why every year thousands of Frenchmen and other people from all over the world begin here in order to finish their journey in the city of Pamplona. The village in which it begins is a beautiful location in the south of the French countryside. The reason why the stretch from Sarria is so reserved and so popular is that it is the last one before arriving in Santiago. Indeed, it is chosen by many pilgrims who want to experience the feeling of completing their journey to Santiago de Compostela. It has a total length of 111 kilometres divided into 7 stages with its corresponding 6 nights. This and all the options we offer from Santiago Ways you can book all year round. Therefore, we include here all the necessary maps for your pilgrimage. With them, you can get an idea of what places you will go through and what experiences you can encounter in this adventure with Santiago Ways. We will talk now about the profile of the Camino de Santiago from León to Ponferrada. With this, we intend to give you the information regarding its difficulty, as well as the height at which it passes and the points of ascent that it contains. For example, between Villafranca del Bierzo and Ponferrada, the road is practically flat. The most rugged area is before reaching this locality, but thanks to the infrastructure which this section of the road has, there is no difficulty in completing it. We also want to give you all the information about the stages that we will walk on foot during our pilgrimage. With it, you can get an idea of the adventure and experiences that await you. Stage from León to San Martín del Camino. Stage from San Martín del Camino to Astorga. Stage from Astorga to Foncebadón. Stage from Foncebadón a Ponferrada. How long does the Camino de Santiago Frances from León to Ponferrada take? As we have said, the Camino Frances de Santiago from León has a total length of 105 kilometres. They are distributed in 5 stages which can be made easily in half of that time if we are going to make the Camino de Santiago by bicycle. In any case, the time taken on every stage depends on each pilgrim. The reason for being able to cover so much distance in less time than other sections of the road is because in the last stretch until you reach Ponferrada the route becomes practically flat. It is therefore very nice to do and it will surely feel short and will make you want to go more and more. It can be said that the question of when to complete the Camino de Santiago depends ultimately on the priorities of each person. However, it must also be said that each season has its advantages and disadvantages. Therefore, and to help you decide, we want to talk about each of the months and the points in favour and against to help you decide when to make the pilgrimage. The month of January is a good opportunity to take advantage of the last days of the Christmas break. The disadvantage is that it is very cold in the regions we pass through, for which we can simply go better prepared. In February the temperatures begin to rise a little. That makes it a more pleasant month that also gives us the advantage of not encountering too many pilgrims along the way. During March the temperatures begin to rise definitively, noting the proximity of spring. It is a good time because the region of El Bierzo begins to show its characteristic colour. During April, and taking advantage of Easter, many pilgrims make their journey. In these days, it is possible to cover the complete route between León and Ponferrada. During May and, in general, throughout the spring, the risk of precipitation increases. The temperatures are milder, yes, and the environments that we travel through like the mountains of León show all their beauty. In June, those people who can take their summer holidays before others should take advantage to complete the Camino. They will have clear and pleasant weather and also the route won't have many pilgrims as yet. 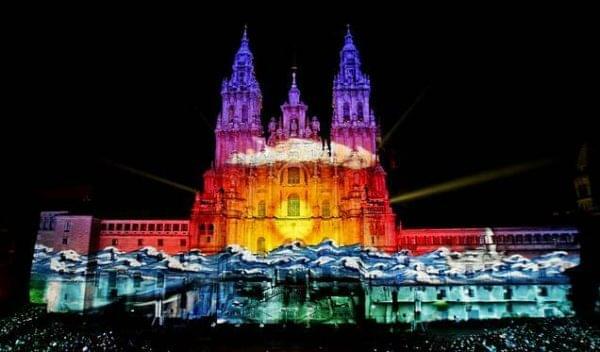 In July, the festivities of the city of Santiago de Compostela take place. Also those of another important city on the Camino Frances: Pamplona. Between the 15th and 31st are those of Santiago, and on July 6th begins the San Fermín festivities. Two good reasons to make our pilgrimage in July. The month of August is the most popular among pilgrims due to the good weather (much cooler in the north of Spain) and the amount of time they have available. It is a good opportunity to make the way organized with Santiago Ways, taking into account that we will avoid overcrowding. One of the distinctive notes of September and the months that follow is that the region of El Bierzo is full of beautiful colours. Just to contemplate this scene is worth a pilgrimage this month. Although the risk of precipitation increases and temperatures fall, with planning, it is possible to enjoy the really spectacular autumn that we have been talking about. November may bring the risk of precipitation and low temperatures. However, to complete the Camino in winter gives the pilgrims their chance to walk without crowds. It is a month chosen more and more by those pilgrims who want to spend Christmas in a beautiful place and live an unforgettable experience. We have made a selection of places that you cannot miss on the route of the Camino de Santiago from León to Ponferrada. Some of them are historical and touristic places of interest. 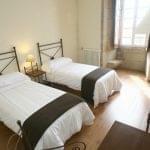 Others are the best hotels, those in which you will stay with Santiago Ways. Finally, there are the recommendations of some restaurants along the route, a very important aspect when it comes to recharging your batteries. The starting point, the city of León, is a real gem among all the wonders that exist in our country. From it, you cannot miss its spectacular heritage where we have the cathedral, the Basilica of San Isadora, the Convent of San Marcos or the Casa Bovines, by the famous architect Gaudí. We'll talk to you about where you can eat later. Without a doubt one of the most beautiful places along the route. The villa of Astorga surprises all those who visit it for its cathedral, its episcopal palace or its Roman museum. It is one of the most interesting stops along the way and an incentive to make you feel that you want to do it over and over again. Ponferrada is another of the magnificent towns that we can visit during this route. 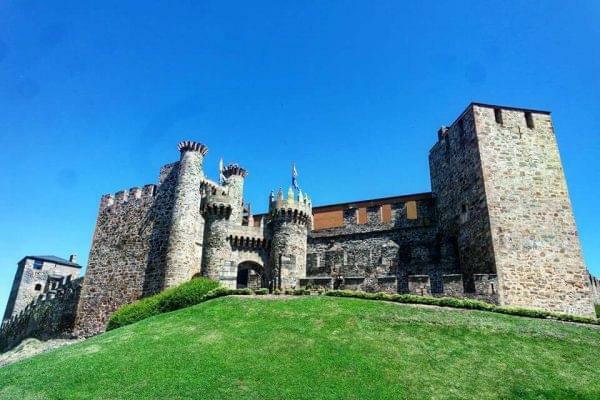 Its imposing castle is one of the monuments that leaves a most vivid impression in our memory. You can't miss finishing here to cap off this great route. One of the distinctive notes we offer in Santiago Ways is that we offer you the best hotels. With that, we want to make sure that you get the treatment and care that you deserve. We remind you that there is the option to book breakfast or breakfast and dinner to replace the energy that you need. 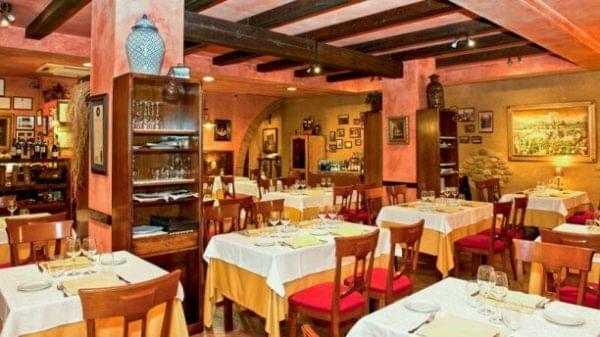 Casa Mando: In the city of León is this prestigious inn that can offer us the best specialities of Leonese cuisine at an affordable price and in a cosy atmosphere. The best of the land, as well as the best of its cold cuts and meats, will be at our disposal with unbeatable service. Restaurant Serrano: In Astorga, we must highlight the Serrano Restaurant. Its philosophy is based on offering only seasonal products, which results in a taste and a character very attached to the land. 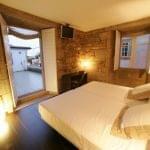 All this in a rustic room that accompanies this unmistakable elegance of the whole town of Astorga. Doce Torres: In Ponferrada is famous this restaurant dedicated to home cooking. This says a lot considering that when entering Galicia, we can taste specialities that will make us recognize the quality of its cuisine. Be sure to visit this restaurant to finish off your experience on the Camino Frances de Santiago from León. The origin of this section is naturally linked to that of the Camino Frances itself. It began to take importance as the reconquest progressed. Although previously there was only the so-called Camino Primitivo or the Camino del Norte, when the reconquest was taking place, new routes were free, much more practical than the previous one. Despite this, it must be thought that the Camino de Santiago was not just a path for pilgrims with religious motives, it was also an important trade route for the north of Spain that made it prosper in fact. Join this historic legacy. We also leave you the opinion of other people who have already completed the Camino Frances de Santiago from León with us. It will help you to finish deciding to live an unforgettable experience. 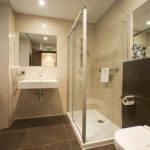 We leave you some pictures and videos of the way so you see everything you can live with us.